They see professional runners and note that they are all very lean. This is true from sprinters through to marathon runners. But it doesn’t mean that you, trying to emulate the exercise of elite runners will therefore also become lean. 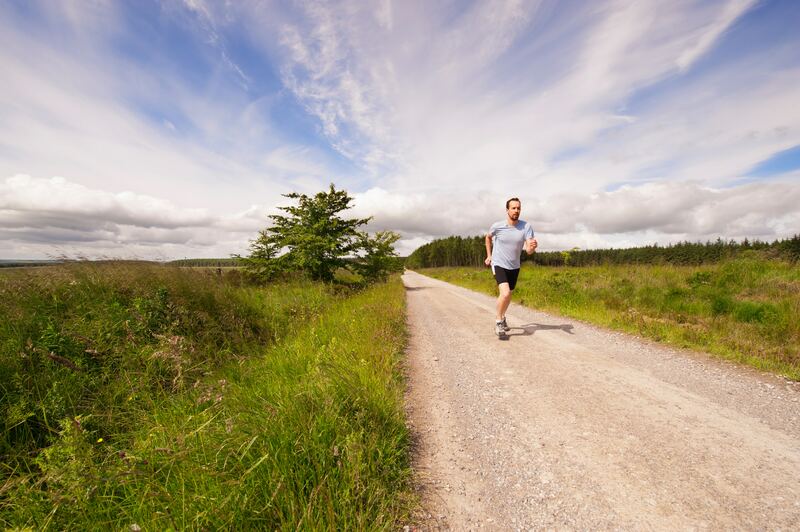 They recall a time in their lives when they were running more and make the connection that they were indeed leaner at this time in their life so therefore they should increase their running now. They have heard that at a ‘jogging’ speed, the body uses fat as a primary fuel source, so it makes sense they should be burning their own body fat when they jog. Right? 2. Training too hard for an endurance goal without a good aerobic base. Another common scenario I see is someone who has attended a big running event or knows a colleague who has done one and then feels inspired to enter and train for such an event themselves. They then proceed to join running clubs or get a ’training program’ which on the surface sounds great. The problem is, often times they start with too high intensity training without developing their aerobic base first. This can predispose them to injury and overtraining, to the point it could lead them to abandoning their initial goal altogether. A doctor in the US, Dr Phil Maffetone has spent a large part of his career developing a formula to guide people to best train their aerobic system. This is a simple equation of 180-Age, known as the Maximum Aerobic Fitness (MAF) Formula, which gives a value in beats per minute which should be the highest your heart rate should get for the most of your aerobic training (including training for an event like a marathon). Phil’s website and books have further details on caveats to adjust the formula which are outside the scope of this article. The point is, so often people train for endurance events in what’s known as a ’black hole’ – an intensity too high to develop their fat burning system which inflicts too much stress on the body without the documented benefits of very high intensity interval training (HIIT). I’m frequently advising people who do endurance exercise to slow down and do most of their training using the MAF formula; and then be very targeted and strategic with their higher intensity interval sessions or resistance training. People who do this, see immense improvements to their performance and well-being. The key is to avoid too much of the ‘black hole’ or ‘no man’s land’ in the middle of these two intensities (sorry for all the analogies!). 1. Feeling intimidated by the gym environment. I totally understand this as I have experienced this one myself. The good news is there are ways around it. For decades now, there have been dedicated gyms like Curves that are tailored to women and offer a ’non-threatening’ environment. And, as I posted recently on Instagram, you can get so much benefit from resistance training using readily available equipment you already have at home (like gravity, which is also available outside the home!). 2. Ladies (and some men) are worried about ‘bulking up’ too much. ‘Bulking’ up to the degree of being noticeable (as in, like a body builder) doesn’t happen by accident. And it’s not going to happen to you by picking up some dumbbells or doing regular push ups. Body builders and generally people who look very muscly work hard at this and often have genetics on their side too. They eat regular prescribed meals and some might even use illicit substances to achieve this look. If you don’t want to look bulky or too muscly, don’t worry, this is unlikely to happen simply by adopting regular resistance training. What will happen though is you’ll look and feel better AND get all the health benefits mentioned above. 3. For elderly people, resistance training is not on their radar or they don’t see it as beneficial. However, sarcopenia is a real problem. It is the age-related loss of muscle tissue and it’s been associated with a number of conditions like diabetes, falls and fractures. I’ve heard it being likened to ‘osteoporosis of the muscles’. Resistance training and adequate dietary protein will help prevent and reverse the effects of sarcopenia. Very important for quality of life in the later years. 4. 8 week challenges or Boot Camps. This point is not going to be popular among people running such boot camps and challenges but here are my concerns. By definition, they are a temporary endeavour, they are not designed for the long term (even though some will claim they are). That being said, I think there can be a place for such ‘challenges’, for example if your work colleagues do one and you want to join in. My concern is that it’s not uncommon for people to get injuries or get overly fatigued during these challenges. I would advise to develop an ‘aerobic base’ (as described in point #2 above) for at least a few weeks before the Challenge, and have a think about what you will do after the Challenge is over. To this many people will say ‘do another Challenge!’ At some point though, you’re going to need to think about affordability and sustainability in the long term. The saddest thing is when I see people who do great after an 8 week Challenge only to see them back to square-one months down the track. However, if the Challenge kickstarts a habit of regular exercise, then great, it was worthwhile. The goal is to get to the point of a ‘habit’ rather than constantly relying on ‘motivation’ (see #5 below) and needing to sign up for repeated ‘challenges’. 5. Insufficient rest. People on a health ‘kick’ can get highly motivated and overly ambitious when it comes to exercise. This can predispose them to injury, overtraining, poor sleep and other health problems. By all means, if you are sticking to your MAF heart rate, exercise most if not all days. But if you are incorporating HIIT or Resistance Training, be sure to include sufficient rest and recovery into your schedule. Dr Doug McGuff in his book Body by Science makes the interesting point that “muscle tissue… heals from the mesoderm germ line, where the healing rate is significantly slower” compared to other tissues in the body like the skin. This implies that if you do activity to ‘damage’ the muscle like heavy resistance training or HIIT, you need sufficient rest and recovery to gain the full benefit and avoid the pitfalls like injury and overtraining. Some experts such as McGuff suggest once or twice per week is sufficient or even preferred to gain the full benefit of higher intensity training. The details will vary depending on a number of factors outside the scope of this post, but this schedule at least makes this type of training more achievable and sustainable for most in the context of the rest of their life. Remember, we’re in this for the Long Game. 6. Relying on ‘motivation’ to exercise. I’ve already alluded to this point, but the goal is to make exercise and regular movement a habit or part of your every day life rather than having to ‘motivate’ yourself each and every time to go for a run or get to the gym. In the same Instagram post I mentioned above, I showed how I scheduled my resistance training into my calendar as a recurring ‘event’. This has been a game-changer for me to ensure I do resistance training consistently to get the benefits. For years prior to taking this action, while I understood the benefit of resistance training, life would ‘get in the way’ and I’d find myself not having done anything with regards to this type of exercise for weeks at a time. At this point, I’ll mention that my resistance training sessions are very brief and only take about half an hour of my time per week in total to do. They don’t need to take a big chunk of time, but they do need to be done consistently. 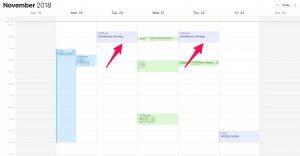 I recommend the recurring calendar reminder, but figure out what works for you. The old adage of increasing ‘incidental’ activity is also important. This implies making regular ‘movement’ more of a habit than always relying on a scheduled exercise ’session’. Try to walk to more places, spend less time sitting, play with your kids or your dog and generally incorporate more movement into your daily routine. Trust me, it does add up. 7. Underestimating the importance of diet (rather than exercise) for weight control and overall health. You might have heard people say ‘good diet is 80% (or even 90%) of the battle when it comes to weight loss’ or ‘you can’t outrun your fork’. I don’t know if the 80-90% has any scientific basis, but in my experience with myself and patients, this seems about right. The junk food industry will try and emphasise exercise as a more important component than what it is, so beware of this message. That being said, I don’t always feel comfortable by the ‘you can’t outrun a bad diet’ mantra as the benefits of exercise are so clearly established, and I’d hate for someone to go too far the other way and discount the effect of regular exercise. It needs to be noted however, that good nutrition really is King. The problem is we are surrounded by so much bad nutrition in our modern environment. I’ll delve more deeply into nutrition principles and how to sustain them in the long term in future posts, but for now I’d suggest to keep as closely to a whole foods, unprocessed, Paleo (if you wish) / Low Carb (if you wish) diet as you possibly can, to get the best health benefits. I very commonly see people in my practice over-emphasise the importance of exercise (and go too hard as outlined in points #4 and #5) without paying sufficient attention to improving their diet. It is a minefield out there with regards to nutrition, so I’ll definitely be covering this more in depth down the track.